We are celebrating the release of our new book and very first publication MAD Dispatches with a special series of evening events along with our editor, Chris Ying. For the second MAD Monday x Dispatches we head across the country to New York. 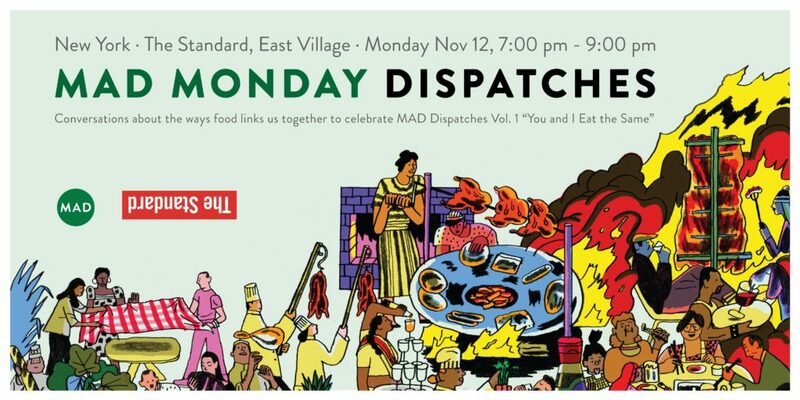 Our friends at The Standard, East Village will host us, we invite you to join us for an evening of inspiring conversations, good food, and drinks! 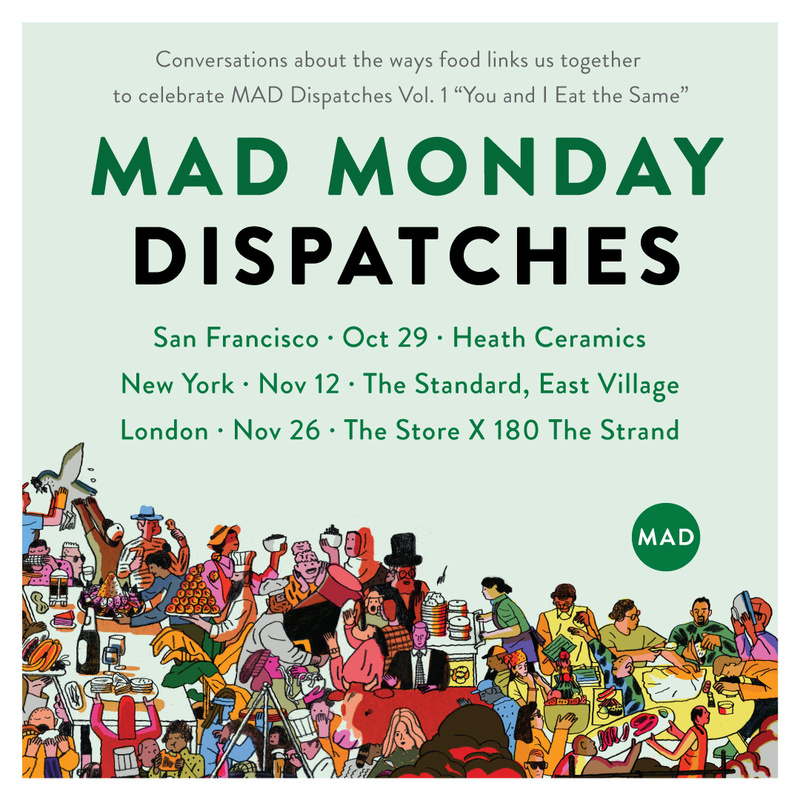 Our New York event will again draw from the themes of “You and I Eat the Same”, the first volume in our new book series, Dispatches,looking at the ways cooking and eating connect us across political and cultural borders. Led by our Dispatches editor, Chris Ying, with a lineup of local chefs and community leaders we’ll look at how the movement of people, ingredients, and ideas has helped build New York into one of the worlds most diverse food cities. Acting historically as a gateway, the city has been the entry point for more than 12 million immigrants who dared to cross the cultural divide. Today, their descendants call New York home, and the city itself serves as a portal, providing access to different food cultures and vibrant communities, and unifying all of those in search of delicious food. A menu of light bites and drinks will be curated by MAD and Angela Dimayuga. Along with local producers the food and drinks will pay homage to the cultures and cuisines highlighted in You and I Eat the Same. Tickets for the second MAD Monday in New York at The Standard, East Village are now Sold Out! 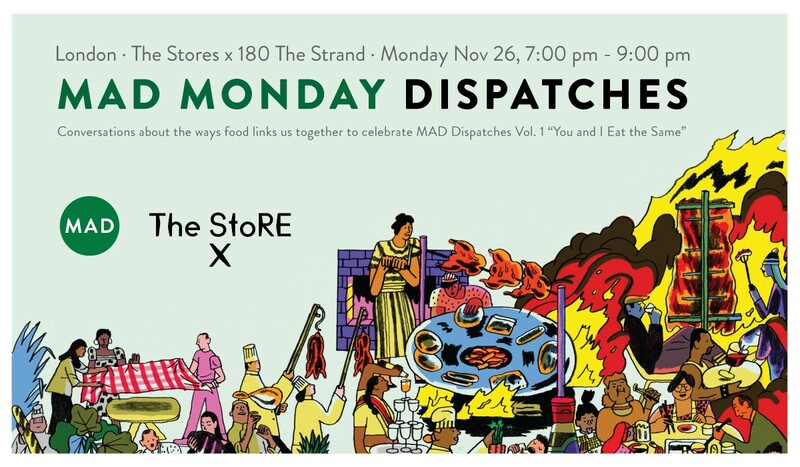 We will release tickets for our final MAD Mondays x Dispatches event in London soon!